Dr. Yogesh Malhotra: Chief Data Scientist-Machine Learning Engineer: AI-Machine Learning-Deep Learning: Cybersecurity, Quantitative Finance, Information Technology, Finance-IT-Risk Management. Wall Street Investment Banks & Hedge Funds such as JP Morgan with $1 Trillion AUM. Big-3 Banking & Finance and Big-3 IT firms such as Bank of America, USA, India, Hong Kong. Founder: Global Risk Management Network: 200 PhDs; 130,000 Members; Millions of Users. - Global clients & patrons such as Goldman Sachs, Google, IBM, Intel, Microsoft, MIT, Harvard. - Media interviews such as CIO Magazine, CIO Insight, Wall Street Journal, Fortune, Inc., etc. - Global IT industry benchmarks in most prestigious US national and global media publications. Advisor: Big-4 Partners, Largest Silicon Valley & Wall Street firms, US and World Governments. Expert Panels: National Science Foundation Computer Scientists, UN Global Economists. MIT Industry Expert: Management & Leadership: AI, Machine Learning & Deep Learning. - MIT Sloan School of Management-MIT Computer Science & AI Lab. Princeton Quant Trading & FinTech Presentations: AI, Algorithms, Machine Learning - Conference Sponsors: Princeton University, Goldman Sachs, Citadel, SIG, KCG. Wall Street Investment Banks-Hedge Funds Risk Management & Controls Pioneer - Cyber-Finance-Trust™, Model Risk Management & Model Risk Arbitrage™ Practices. New York State CISO-Leader: IT & Networks Administration: CISSP,CISA,CEH. - Defense-in-Depth Zero Trust Architectures & Network Segmentation Practices. New York State Computer Scientist and Offensive & Defensive Cybersecurity Leader. National Association of Insurance Commissioners: Pioneering Cyber Insurance Standards. National Science Foundation: 32 National Cybersecurity-Cyber Computing Expert Panels Intel Corporation: Advancing Next Generation e-Business Enterprise Architectures. United Nations World HQ: Global Economists Expert Panels Quant: Knowledge Assets. United States Government, Council Partner, Business Process Transformation Expert. Government of Switzerland: Banking Transformation: Math-Fintech Algorithms Expert. Government of Mexico: e-Government Expert: Cabinet Ministers, 13 CIOs, 600 IT Leaders. Government of Netherlands: National Digital Transformation & Infrastructure Expert. Nation of South Korea: Vision Korea Campaign: National Digital Transformation Expert. Ziff Davis Global Internet Infrastructure GII: US National E-Commerce Standard Expert. US National Information Infrastructure NII: Applied R&D Pioneering UN & Global Policies. AI-Machine Learning: MIT Industry Expert: Princeton Quant & FinTech Presentations. Post Doc AI-Algorithms-Machine Learning R&D: Wall Street Banks-Hedge Funds Quant. AACSB: Research Impact among Nobel laureates: AI-KM Risk Management-Controls. SSRN: AI-Algorithms-Machine Learning: 47 Top-10 Research Rankings: Top 3% Authors. Professor: Computer Science, Cybersecurity, Quantitative Methods, IT, Operations Research. Top-10 PhD IT & Statistics Double PhD Credits, PhD Thesis: KMS-Risk Management Controls. Chartered Engineer, Computer Scientist, IT/OR Quant Methods Scientist & Information Scientist. Marquis Who's Who in the World®, Since 1999. Marquis Who's Who in Finance & Industry®, Since 2001. Marquis Who's Who in America®, Since 2002. Marquis Who's Who in Science & Engineering®, Since 2006. Global Risk Management Network, LLC, Cornell Business & Technology Park, Ithaca, New York 14852-4892. 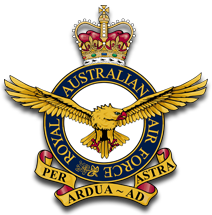 Griffiss Cyberspace & Drone™, Griffiss Business & Technology Park, Griffiss AFB, Rome, New York 13442-1155. 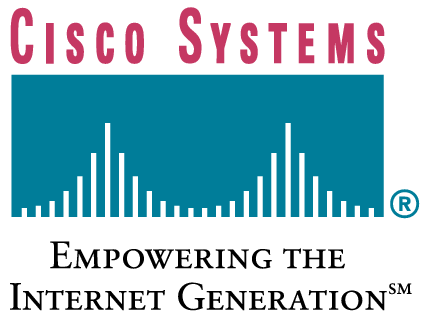 Pioneering Systems & Risk Engineering for Global Cyber Resilient Critical Systems & Infrastructures. Post-Doc AI-Machine Learning: Computer Science, Cybersecurity & Telecom, Quant Finance & Trading. Top-10 PhD, MSCS, MSNCS, MSQF, MSAcc, MBAEco, CEng, CISSP, CISA, CEH, CCP, CPA Education. 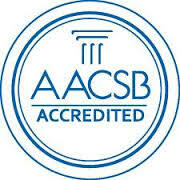 AACSB: Research Impact among Finance Nobel Laureates Black-Scholes, Markowitz & Sharpe: Uncertainty & Risk Management. Are You a CEO Team Pioneering Digital Futures? Let's help you by subsidizing 90% of our Consulting Costs just for you. Princeton Quant Finance & Trading Presentations, JP Morgan Hedge Funds Quant, New York State CIO-CISO. Expert Panels: National Science Foundation Computer Scientists, United Nations Global Economists. Advisor: Big-4 Sr. Partners, $100 B Hi-Tech Firms, Silicon Valley VCs-CEOs, US & World Governments. Global Financial Systems Leader, Big-3 Finance-IT, Wall Street Banks-Hedge Funds $1 Trillion AUM. Founder: Top Digital Site, Top-3 Search Engine, Top-10 Social Network: Largest Finance-IT Clients. Global Impact: Worldwide Premiere Media Coverage in Most Top-Tier Business-Technology Press Publications. AFRL Commercialization Academy: Griffiss Cyberspace & Drone™ Network Venture Building Artificial General Intelligence. Dr. Yogesh Malhotra (‘Yogi’) is the Executive Director and Chief Scientist of New York based Global Risk Management Network, LLC, leading global Artificial Intelligence & Machine Learning, Cybersecurity & Cryptography, and, Quantitative Finance & Trading practices. As Managing Director for worldwide AI & Machine Learning practices with GIBC Digital, he recently developed the blueprint for Digital Transformation of global national economies and enterprises to expedite adoption and execution of AI & Machine Learning and Cybersecurity practices. As Artificial Intelligence and Machine Learning Industry Expert for MIT Sloan School of Management and MIT Computer Science & AI Lab, he recently led 200 Management and Leadership industry executives pioneering AI and Machine Learning strategic road maps for worldwide firms and industries. As New York State Cyber Security-CISO Leader, he led Computer & Network Security Global Industry Standards & Practices such as Zero-Trust Cybersecurity Architectures & Networks Segmentation advancing on Global Cyber Security practices leadership building on Post-Doctoral Network Security industrial research overseen by AFRL, NYS-CRI, and, SUNY Cyber Security experts. As Quantitative Risk Modeling Expert, Project Leader, and, Team Leader for the JP Morgan Global Head of Quant Research & Analytics and U.S. Head of Portfolio Management featured in a Harvard case study, he led and advised his team of Managing Directors and Portfolio Managers with $500-$600 Billion AUM, and, team of Quants on Portfolio Liquidity Risk Modeling and Portfolio Optimization, VaR & Stress Testing. Over recent four years, his AI & Machine Learning presentations in Cyber Finance at Princeton University conferences sponsored by firms such as Goldman Sachs and Citadel are pioneering applied innovations spanning Cybersecurity & Cryptography, and, Quantitative Finance & Trading. His other industry practices leaderships include Goldman Sachs Alumnus Hedge Fund with $400-$500 Billion AUM, Big-3 IT and Big-3 Banking and Finance firms such as Bank of America, and, world's largest Digital Transformation community-of-practice ventures with global clients and patrons such as Goldman Sachs, Google, IBM, Intel, Microsoft, Harvard, and, MIT. Globally sought as an industry expert and keynote speaker, his hi-tech ventures and thought leadership have spanned Silicon Valley to Seoul including Silicon Valley venture capitalists and CEOs, Wall Street investment banks and hedge funds, Big-4 Consulting founding partners, ACM, AFCEA, AFRL Commercialization Academy, CFA Society, NAIC, State of New York, Conference Board, Institute of Supply Management, National Science Foundation, United Nations, and, US and world governments and national economies such as Mexico, Netherlands, South Korea, and, Switzerland. Real impact of his published research is ranked and recognized among Finance-IT Nobel laureates such as Black-Scholes by AACSB, premier scientific studies, and industry surveys. He has taught as invited Executive Education faculty for Carnegie Mellon University and Kellogg School of Management, and, served as tenure-track professor of Computer Science, Operations Research, Quantitative Methods, and, Information Technology. His Artificial Intelligence & Machine Learning post-doctoral industrial R&D in Quantitative Finance, Cybersecurity, and, Computer Science with 63 Top-10 SSRN Research Rankings and Top-2% SSRN Author rankings is advancing global strategies, practices, and, policies. A Chartered Engineer (C.Eng.) and Life Member of the Institution of Engineers, he also holds DoDD 8140 Top-3 IT Cyber Security Certifications, namely, CISSP, CISA, CEH, in addition to CCP-CDP and has fulfilled the AICPA educational requirements of the New York State CPA. His Digital ventures are ranked and recognized as global industry benchmarks in global media such as the Wall Street Journal, New York Times, Fortune, Inc., Fast Company, Business Week, CIO Magazine, CIO Insight, Computerworld, Information Week, etc. His global and national press and TV interviews have been covered by global business technology media such as Fortune, Inc., Wall Street Journal, Information Week, CIO Magazine, CIO Insight, and, Maeil Business (South Korea). His biography is profiled among world's foremost leaders and achievers in Marquis Who's Who in America®, Marquis Who's Who in the World®, Marquis Who's Who in Finance & Industry®, and, Marquis Who's Who in Science & Engineering®. Worldwide top leadership programs such as the Harvard MBA, world leaders such as Microsoft founder Bill Gates, Big-4 CxOs, and, CIOs of the US Army, US Navy, and US Air Force, and, the U.S. Joint Chiefs of Staff of the Department of Defense including U.S. National Heads of C4 Systems and National Defense University have adopted, applied, and recommended our digital ventures transforming global digital practices. • Artificial Intelligence & Machine Learning post-doctoral industrial-applied R&D in Computer Science, Network & Computer Security, Quantitative Finance and Trading, and, Cyber Risk Insurance pioneering global and national AI & Machine Learning, Quantum-Crypto-Cybersecurity, Quantitative Finance and Trading, and, Cyber Risk Insurance Practices. • Artificial Intelligence & Machine Learning and Knowledge Management R&D ranked and recognized among Finance and IT Nobel laureates. Industry leading AI-Machine Learning Post-Doctoral R&D (2015-2018): 63 Top-10 SSRN Rankings and Top-2 % SSRN Author Rank: 100+ industry-leading Refereed Publications and Presentations leading industry practices. • MIT AI-Machine Learning industry expert leading, guiding, and, evaluating 200 CEOs-Industry Leaders in AI-Machine Learning Strategic Road Maps development for worldwide enterprises spanning Fortune-100 to Silicon Valley startups. • Princeton Quant Trading presentations (2015-2018) pioneering AI & Machine Learning, Quantum-Crypto-Cyber Security, Quant Finance & Trading, and, Cyber Risk Insurance Practices at conferences sponsored by Goldman Sachs, Citadel, etc. 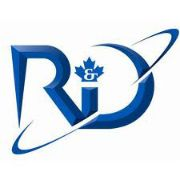 • Founder & CEO, Global Risk Management Network, LLC, clients-patrons such as Google, Goldman Sachs, Microsoft, IBM, Intel, Ogilvy, Harvard, and, MIT building Digital Transformation practices including world’s Top Digital Site (Computerworld), Top-3 Search Engine (Carnegie Mellon Industry.Net Awards), and, Top-10 Social Network (among others such as LinkedIn). • Managing Director, AI & Machine Learning, GIBC Digital: Worldwide AI & Machine Learning practices head leading worldwide AI & Machine Learning, Cyber Security, National Information Infrastructure development for nations of Bahamas and Nigeria. • CEO-CxO Advisor, AI & Machine Learning, Iagon global Blockchain Cloud Computing Venture: AI & Machine Learning and Cybersecurity architectures and Go To Market strategy while leading CEO road shows in Asia and Australia for major funds. 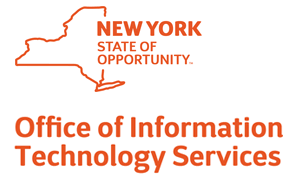 • Chief Information Security Officer (CISO) role leading IT Administration & Networks Administration practices including Zero-Trust Architectures and Network Segmentation for the State of New York Civil Services while serving as CIO-CISO expert thought leader for the State of New York Cybersecurity conference sponsored by the State of New York Governor. • Advisor to JP Morgan Global Head of Quant Research & Analytics and JP Morgan US Head of Portfolio Construction, & Team of Managing Directors & Portfolio Managers on Liquidity Risk Modeling Frameworks and Portfolio VaR and Post-VaR Stress Testing Models while Team Leader and Project Leader for the Quant Team developing related prototypes. • Big 3-Banking and Big-3 IT Global Financial Systems Development Projects and Teams leaderships across USA, Hong Kong, and, India developing Global Financial Systems deployed across worldwide Banking & Finance firms and institutions. • Global IT consulting practices for firms such as British Telecom (UK), and, Philips (Netherlands). Founder of largest Digital Transformation community of practice followed and recommended by leadership programs such as the Harvard MBA, world leaders such as Microsoft founder Bill Gates, Big-4 CxOs, and, CIOs of the US Army, US Navy, and US Air Force. • National Science Foundation (NSF) invited advisor to NSF leadership while serving on 32 NSF national expert panels leading commercialization of US IT and Cybersecurity innovations awarding multi-million dollar SBIR/STTR grants. • Global and National invited thought leader with global and national media interviews, plenary keynotes, and, invited presentations for the Silicon Valley CEOs, angel investors, and, venture capitalists; United Nations world HQ; US and world government cabinet ministers, CIOs, and, IT Executives; top Wall Street investment banks, and, Fortune 500 CEOs and CxOs. • CxO-CIO leadership interviews and editorial reviews as industry benchmark in global media: Wall Street Journal, New York Times, Fortune, Inc., Fast Company, Business Week, CIO Magazine, CIO Insight, Computerworld, Information Week, etc. • Invited Executive Education faculty for Carnegie Mellon University and Kellogg School of Management in e-Business, and, Knowledge Management. Delivered invited keynotes and research lectures at worldwide institutions of higher learning such as INSEAD (France), and, Queen’s University (Canada). • Served as invited advisor on Math FinTech Algorithms to the Government of Switzerland for national Banking industry transformation enabled by ex-Goldman Sachs bankers while serving as STEM Computer Science professor at SUNY pioneering State of New York applied-industrial Offensive and Defensive Computer & Network Security programs for Network Administrators while also delivering Advanced Analytics and Object Oriented WWW Programming courses. • AACSB recognition of real impact of research among Finance Nobel laureates such as Black-Scholes while serving as first professor of Quantitative Methods on the Information Technology and Operations Research MBA faculties and Management Information and Decision Sciences faculties at the Syracuse University Marin J. Whitman School of Management. Promoted to Associate Professor in Accounting while also delivering Advanced Business Analytics, Decision Support Systems (Decision Modeling), Management Information Systems, e-Business, and, Knowledge Management courses. • Served as invited advisor to the National Science Foundation national leadership and served on 32 national expert panels of Computer Scientists, Venture Capitalists, and, IT Analysts for the National Science Foundation for allocating multi-million dollar SBIR/STTR grants to advance commercialization of U.S. innovations in Web Computing and Web Security. • Served as invited Quantitative Economist expert advisor to the United Nations world headquarters for writing the expert paper on Quantitative Measurement of National Knowledge Assets for worldwide UN member nations. Served on global expert panels of distinguished Economists at the United Nations world headquarters to advance the Knowledge Societies development for worldwide UN member nations. • On receiving invitation for the Fulbright-Queen University’s Visiting Research Chair in the Management of Knowledge-Based Enterprises while serving on the faculty of the Syracuse University, received the following congratulatory letter from Dr. Nancy Cantor, President and Vice Chancellor, Syracuse University. "Receiving an invitation to compete for this prestigious position is very impressive and reflects the high quality of your scholarly work. I also very much enjoyed reading about your many engagements in the larger global community. You have certainly embraced the spirit of serving the public good and illustrate how a university, as a source and generator of knowledge, can impact other countries and institutions. I congratulate you on your hard work as a scholar and as a citizen of the world." -- Dr. Nancy Cantor, President and Vice Chancellor, Syracuse University. • Ranked among the Top-3 Knowledge Management scholars and practitioners in the worldwide survey of Information Systems scholars and practitioners by the ISWorld conducted by Drexel University while serving as Management Information Systems and Business Analytics professor at the State University System of Florida Fort Lauderdale and Boca Raton Campuses of Florida Atlantic University pioneering the first AACSB-accredited Executive MBA and MBA programs on e-Business and Knowledge Management. • Published scholarly research ranked for real impact among Finance and IT Nobel Laureates in tenure-track research faculty roles over a span of 12 years, and, coached and mentored: 500 teams of over 2,000 students including Executives, MBAs, Project Managers, Computer Scientists, and, Engineers placed across worldwide organizations including Silicon Valley firms and Wall Street investment banks. • Top-10 PhD in IT-Statistics-Risk Management Controls; 5 Masters: 2 in Computer Engineering & 3 in Finance: MS Computer Science, MS Network & Computer Security Outstanding Student Award, MS Quantitative Finance (Applied Math), MS Accountancy 4.0/4.0: Perfect GPA Award, MBA Economics 4.0/4.0, BE with Distinction - Chartered Engineer. 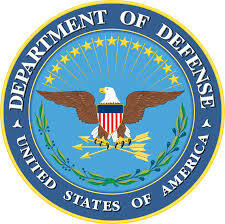 • Department of Defense Directive 8140 Top Industrial Certifications in Telecom-Networks-Security: CISSP, CISA, CEH. • Chartered Engineer (C.Eng.) & Life Member, The Institution of Engineers, India. • Citizen of the United States of America. Resident of New York. • Impact of R&D and Practices: Worldwide. Who's Who in Science & Engineering®. • 25+ year PhD & Post-PhD AI, Algorithms, and, Machine Learning R&D enhanced by Quant Risk Analytics leaderships of Wall Street Investment Banks-Hedge Funds with $1 Trillion AUM such as JP Morgan Private Bank: Quantitative Finance, Finance-IT-Risk Management: Statistics & Probability, High Frequency Econometrics, Optimization, Computer Science, Cryptanalytics, AI, Algorithms, Machine Learning: Regressions, Structural Equations, ARCH/GARCH, VaR, ES, EVT, Bayesian Inference, Markov Chain Monte Carlo. • 25+ year Pioneer of Post-PhD Statistical Modeling-Machine Learning Predictive Modeling Analytics advancing beyond Predictive Analytics to Anticipatory Risk Analytics R&D leading Wall Street CEOs and CFOs. Model Risk Management research recognized among 'exemplars' of 'considerable impact on actual practice' such as Finance-IT Nobel Laureates such as Black-Scholes & Herbert Simon, and, applied by Big Banks and NASA. CNET Networks Corporate Computing Award for Most Influential Research. • 25+ year PhD & Post-PhD Leadership in development and advancement of Deterministic, Stochastic, &, Non-Deterministic Data Analytics Methodologies published in Top Academic Research Journals and Proceedings including AI, Algorithms, and, Machine Learning Models presented at 2015-2018 Princeton Quant Trading Conference recognized for 63 SSRN Top-10 Research Rankings over 2015-2018 with recent and forthcoming articles in peer-reviewed journals such as Journal of Operational Risk (2018) and IUP Journal of Computer Sciences (2017). National Expert Panels for U.S. innovations in Cybersecurity and Cybercomputing: multi-million dollar SBIR/STTR grants. • CEH (Since 2014): DoDD 8140 - CNDSP Auditor, Incident Responder, & Infrastructure Support. • 25+ year PhD & Post-PhD Leadership in development and advancement of Cybersecurity, Computer & Network Security, Cyber Risk Management Practices and Global Industry Standards & Practices. Leading Cybersecurity architectures development for AI & Machine Learning enabled global Block Chain Cloud Computing ventures; and, leading US national global Cyber-Defense capabilities development initiated as Managing Director at GIBC Digital. In State of New York CISO Role, led implementation of New York State Cybersecurity practices such as Defense-in-Depth, Network Segmentation, and, Zero Trust Architectures. Advancing upon leadership of CEOs, CIOs, and, CTOs as co-founding editor of Ziff Davis Global Information Infrastructure E-Commerce Standards, advanced commercialization of U.S. national innovations in Cybersecurity as National Expert on 32 expert panels of the U.S. National Science Foundation. Pioneered Computational Quantitative and AI & Machine Learning driven Cybersecurity and Network Security practices in collaboration with a committee of top experts from Air Force Research Lab, New York State Cyber Research Institute, and, SUNY. Resulting standards and practices advancing Cybersecurity Risk Management and Controls practices such as AI & Machine Learning Model Risk Management for the Armed Forces Communications and Electronics Association (AFCEA), global Cybersecurity Risk Insurance standards for the National Association of Insurance Commissioners (NAIC), Cybersecurity Risk Management of Financial Services for the State of New York, and, Penetration Testing and Ethical Hacking for the Risk Management professions. Cyber Security Technologies: Applications, Devices, End Points, Hosts, Networks, O/S, UTMs: AirWatch, Check Point, Cisco, Fire Eye, Fortinet, Fortis, Intel, McAfee, Microsoft, Palo Alto, PDQ Deploy, ProofPoint, Qualys, Sophos, Symantec, VMWare, WatchGuard, etc. Best Practices & Industry Standards: ISO, NIST, FIPS, COBIT, OWASP, Qualys, SANS, PCI-DSS, NYS, Microsoft, Cisco, Fire Eye, etc. Penetration Testing-Ethical Hacking Frameworks & Tools: Metasploit, Nmap, Wireshark, Several Others. Defense-in-Depth Enterprise Networks and Computer Security & Privacy Leader: Multi-Factor Authentication & Credentialing; User Access Controls & Group Management Policies; Defense-in-Depth: Networks, Hosts, Devices, Applications, OSs, and, IPs; Configuration & Auditing-Testing: UTMs, NGFWs, IPS/IDS, VLANs/VTP/STP, and UAC-ACL Policies; Enterprise Networks-Perimeter & Networks Segmentation; Enterprise Hosts & Server End Point Protection Security; Enterprise User Access Controls, Credentials, Passwords; Enterprise Microsoft Network Operating Systems & Applications Security; Enterprise Mobile Device Management & Multi-Factor Authentication. Zero-Trust Cybersecurity Architectures & Networks Segmentation Leader: Zero-Trust Network Segmentation: UTM Policies: SMB, NetBios, SNMP, NTLM, and, PPTP; NIST Security Content Automation Protocol (SCAP): Group Policies: Active Directory (AD), Group Policy Management (GPM); Validation & Audit of IP Networks Subnets & VLANs; OWASP Secure Coding Practices: SSL/TLS, IPSec, AES256, RSA2048; Audit of Virtual Private Networks using RADIUS; AD-GPM Default Domain Controllers Policy for Network Security Reconfiguration & Implementation; AD-GPM Default Domain Policy Reconfiguration & Implementation; AD-GPM Password Security Objects (PSOs) Development & Configuration. CompTIA Security+ Network Security Instructor for Telecom Network Administrators, State of New York. • Developed and Programmed Computerworld's Top Digital Transformation Site, Top-3 Search Engine, and, Top-10 Social Network (1993-1998) with clients and patrons such as Goldman Sachs, Google, Intel, IBM, and Microsoft after getting certified as a Certified Computing Professional-Certified Data Professional (CCP-CDP, 1993). Digital Ventures applied by the US DoD and CIOs of U.S. Army, U.S. Navy, U.S. Air Force, and, U.S. Marine Corps for defining and implementing their Cyber-Transformations and applied by worldwide firms and governments for their digital transformation (1995-2002). 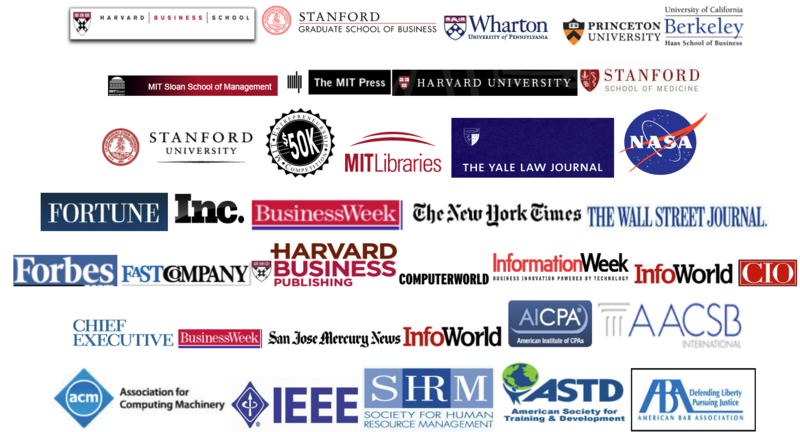 •Editorial Boards and Expert Reviewer Panels (1993-Current) of more than 40 internationally ranked Computer Science, Decision Sciences, Information Technology, IT Economics, MIS, and, Network Sciences research journals, international conferences, and global publishers such as ACM, IEEE, IBM, Cambridge University Press, Harvard Business School Publishing, and, Springer-Verlag: recent expert thought leadership includes invited expert paper leading Cyber Risk Insurance Underwriting industry practices for the National Association of Insurance Commissioners (NAIC) (2018); expert paper on Cybersecurity Networks, Systems & Controls Standards Development for the Risk.Net Journal of Operational Risk (2018); invited expert referee on Cybersecurity Industrial Research for the Society for Modeling & Simulation International's Journal of Defense Modeling and Simulation (JDMS, Sage Publications) focus on STIX, TAXII, Bayesian Networks, and, Markov Chain Monte Carlo Models (2016). • 25+ year PhD & Post-PhD Leadership in Quantitative, Statistical, Structural, and, Machine Learning Predictive Analytics Model Validation Reviews. Wrote more than 100+ invited Peer-Review Reports of Empirical & Scientific Research as a referee for research manuscripts submitted for publication in Top Academic Research Journals. Received the Best Reviewer Award from the Academy of Management for the referee peer-review of Structural Equation Modeling based Machine Learning models selected for Academy's Best Paper award. • United Nations World Head Quarters Global Economists Expert Panel (2003) as Quant Expert on the Measurement of National Digital-Knowledge Assets including development of a Balanced Score Card Framework for National Digital & Knowledge Assets Measurements advancing on pioneering practices resulting in 'Over Half-Million Dollars Contributed to Advancing Digital Transformation Practices' via our global digital social enterprise network clients and patrons including world's largest Finance, IT, and, Consulting firms. • Certified Public Accountant (C.P.A.) Education Requirements Fulfilled, AICPA, State of New York. Advancing on AI-KM (Artificial Intelligence & Knowledge Management) R&D selected for CNET Corporate Computing Award (2002) and AACSB Research Impact among Nobel Laureates (2008) critically analyzed as a trained information systems auditor and financial accounting auditor three key premises of global financial economics in practice that will continue to be the subject of Financial Economics Nobel prizes given changing nature of ‘assets’ and changing nature of ‘risk’ in the Cyber-Crypto-Quantum era, namely, efficiency of markets, rationality of behaviors, and, symmetric availability as well as application of information. Engineering Technology Innovations & Process Engineering, C.Eng. • Chartered Engineer (C.Eng.) and Life Member of the Institution of Engineers having already made significant applied and industrial practice contributions while transitioning industrial expertise across production engineering, process engineering, transnational technology knowhow transfer, and, enterprise financial systems of global and multinational American, Indian, and, Japanese automotive and process-engineering firms. Professional Certifications: Computing, Cybersecurity, Data, Engineering, Risk Management, Systems. Sponsors: Princeton University, Goldman Sachs, Citadel, SIG, KCG. AI & Machine Learning; Computational Finance; CyberSecurity Engineering. 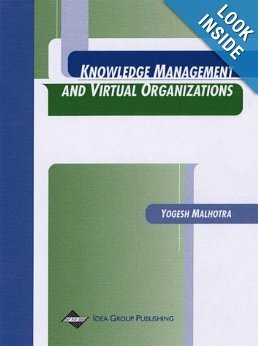 "In his latest book, Knowledge Management and Virtual Organisations, KM luminary, Dr. Yogesh Malhotra, offers some cautionary advice. He exposes three myths often associated with KM solutions." "Knowledge Management and Business Model Innovation brings together the latest thinking on issues at the forefront of teaching innovation and professional imagination." Millions of worldwide users included Global-2000 Corporations and G-20 World Governments. Global High Impact Hi-Tech Digital Practices Leadership spans Silicon Valley to Seoul and all continents in between. AI-KM Research Impact among Finance & IT Nobel Laureates in AACSB and Scientific Impact Studies. Risk Management Tech Ventures leading Computational Quantitative Analytics, Machine Learning, Data Science, Quantitative Finance, & Cybersecurity Practices. Worldwide Business and IT Editorial Coverage & Interviews as global industrial benchmark in Wall Street Journal, New York Times, Fortune, Fast Company, Forbes, Business Week, CIO, CIO Insight, Computerworld, Information Week, etc. MIT AI & Machine Learning Expert, Princeton Quant Trading & FinTech Presentations, Wall Street Quant Leader. AACSB: Impact of Research among Nobel Laureates such as Black-Scholes & Harry Markowitz. Cybersecurity, Quantitative Finance, Information Technology, Finance-IT-Risk Management. • MIT Industry Expert: Management & Leadership: AI, Machine Learning & Deep Learning. 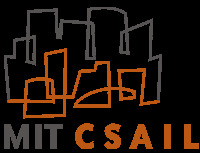 - MIT Sloan School of Management-MIT Computer Science & Artificial Intelligence Lab. - Conference Sponsors: Princeton University, Goldman Sachs, Citadel, SIG, KCG. • Founder: Global Risk Management Network: 200 PhDs; 130,000 Members; Millions of Users. - Computerworld: Top Digital Site: Best Site, Top-3 Search Engine, Top-10 Social Network. - Media interviews such as CIO Magazine, CIO Insight, Wall Street Journal, Fortune, Inc., etc. - Global IT industry benchmarks in most prestigious US national and global media publications. • Global Financial Systems Leader: Wall Street Banks: $1 Trillion AUM; Big-3 Finance & Big-3 IT. - Wall Street Investment Banks & Hedge Funds such as JP Morgan with $1 Trillion AUM. - Cyber-Finance-Trust™, Model Risk Management & Model Risk Arbitrage™ Practices. - Big-3 Banking & Finance and Big-3 IT firms such as Bank of America: USA, India, Hong Kong. • Global Information Infrastructures, Cybersecurity, & Global Digital Transformations Leader. - New York State CISO-Leader: IT & Networks Administration: New York State Practices Leader. - New York State Defense-in-Depth Zero Trust Architectures & Network Segmentation Practices. - New York State Computer Scientist-Professor: Network Administrators CompTIA Security+. - National Association of Insurance Commissioners: Pioneering Cyber Insurance Standards. - National Science Foundation: 32 National Cybersecurity-Cyber Computing Expert Panels. - Accenture Partners, British Telecom (UK), Intel Corporation, Philips (Netherlands). - UPMC CIO Office: Healthcare Digital Transformation Leader, IT-Risk Management Controls. - Advisor: Big-4 Partners, Silicon Valley VCs-CEOs & Wall Street firms, US & World Governments. - United Nations World HQ: Global Economists Expert Panels Quant: Knowledge Assets. - United States Government, Council Partner, Business Process Transformation Expert. - Government of Switzerland: Banking Transformation: Math-Fintech Algorithms Expert. - Government of Mexico: e-Government Expert: Cabinet Ministers, 13 CIOs, 600 IT Leaders. - Government of Netherlands: National Digital Transformation & Infrastructure Leader. - Nation of South Korea: Vision Korea Campaign: National Digital Transformation Leader. - Ziff Davis Global Internet Infrastructure GII: US National E-Commerce Standard Leader. - US National Information Infrastructure NII: Applied R&D Pioneering UN & Global Policies. - Journal of Operational Risk: Pioneering Networks, Systems & Controls Pen Test Standards. • Biggest American-Japanese Auto Firms: Production-Process Engineering, Financial Systems. • AACSB: Research Impact among Nobel Laureates such as Black-Scholes & Harry Markowitz. • Post Doc AI-Machine Learning-Deep Learning R&D: Wall Street Banks-Hedge Funds Quant. • SSRN: AI-Algorithms-Machine Learning: 63 Top-10 Research Rankings: Top 3% Authors. • AI-Machine Learning: MIT Industry Expert: Princeton Quant & FinTech Presentations. • Invited Executive Education Faculty: Carnegie Mellon University, Kellogg School of Management. • Professor: Computer Science, Cybersecurity, Quantitative Methods, IT, Operations Research. • Chartered Engineer, Computer Scientist, IT/OR Quant Methods Scientist & Information Scientist. • Top-10 PhD: Double PhD Credits: IT-Statistics, PhD Thesis: KMS & Quantitative Risk Management Controls. • MS Quantitative Finance: Derivatives: Credit Risk, Market Risk, Liquidity Risk, Interest Rates, etc. • Marquis Who's Who in the World®, Since 1999. • Marquis Who's Who in Finance & Industry®, Since 2001. • Marquis Who's Who in America®, Since 2002. • Marquis Who's Who in Science & Engineering®, Since 2006. MIT Industry Expert: Business Process Engineering Leader Leading Digital Process Automation Practices Optimizing Costs, Profits & Risks using AI & Machine Learning. Natural Language Processing (NLP), Robotics, Robotic Process Automation (RPA). The MIT-AI Strategy Executive Guide is inspired by many of the Management & Leadership Industry Executives in the MIT-AI Learning Communities of Practice of which I am the Learning Facilitator. 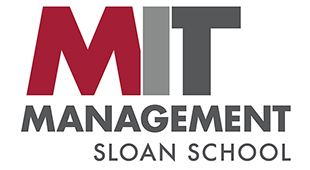 The experience of leading the global industry leaders as their Learning Facilitator in pioneering AI & ML industry practices in respective firms and industries also provides an outstanding opportunity for enhancing the MIT Sloan and MIT C-SAIL Faculty Curriculum in Community of Practice discussions supported by in-depth supplementary resources included in this guide. More than 300 of the in-depth supplementary resources are included in this guide arranged over the weekly Module-by-Module Curriculum followed and related online discussions. That experience is founded upon 20-year applied and industrial R&D in advancing global Knowledge Management, and, AI & Machine Learning practices. As MIT Industry Expert for worldwide Management & Leadership executives leading AI-Machine Learning strategic execution while advancing applied AI-Machine Learning program going back to the dialog on self-adaptive enterprises with the founder of Genetic Algorithms Dr. John Holland. Holland was then at the Santa Fe Institute, the Nobel laureates’ think tank on Complexity Theory and Complex Systems, themes on which our Digital ventures were recognized by the Wall Street Journal and New York Times as industry practices global benchmarks. Dialog with Holland inspired the top-ranked journal paper on AI & Machine Learning in the Expert Systems with Applications journal which stimulated attention of world's smartest intelligence agencies at the time. 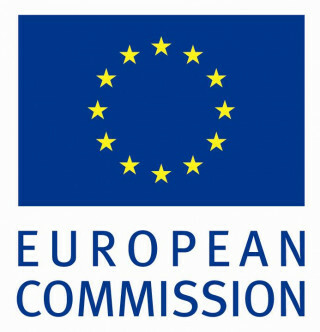 That paper and the related R&D program guiding worldwide practices on Digital Transformation underpins some of the central issues advancing the design of AI & Machine Learning 'sense-making' systems as evident in latest developments in AI, Machine Learning, and Deep Learning R&D including the latest advances such as in Generative Adversarial Networks. Of course, they were not known by that name at that time, just like John Holland's Genetic Algorithms were not known by that name when he pioneered those AI technologies. Having known Prof. Tom Malone and other distinguished MIT faculty as a professor in research academia, it is a privilege to serve as Subject Matter Expert for MIT Sloan-MIT CSAIL Executive Education program on AI-ML. Recognized for pioneering global Digital Transformation practices as founder of the world's first and largest global Knowledge Management Communities of Practice with millions of worldwide users, he also founded Computerworld's Top Digital Transformation Site, Top-3 Search Engine, and, Top-10 Social Network. His clients and patrons have included firms such as Google, Goldman Sachs, IBM, Intel, Microsoft, and, Ogilvy, and, his Digital Ventures adopted and applied by worldwide institutions of higher learning such as Harvard MBA, Harvard University and MIT. Having pioneered industry benchmarks for bridging the "gaps between business and technology, data and knowledge, and, theory and practice" recognized by Fortune and Wall Street Journal, and, recognized by AACSB among others such as Harvard and Wharton, collaborating with GetSmarter-2U leading Management & Leadership industry practices via Executive Education at most elite programs. "This course has been a fantastic experience. Thank you especially Dr Yogesh Malhotra, your contribution has been amazing, one of the best things of the course (if not the best)." "Fantastic course and great learning experience. Even though I came here with a fair amount of knowledge on AI and some of its business applications, I have certainly learnt a lot more from this course. Special thanks to Dr Yogesh Malhotra... the forum discussions and resources shared have been by far my biggest takeaway." AI, Algorithms, Machine Learning Post-Doctoral Industrial R&D. • 2018: "AI, Machine Learning & Deep Learning Risk Management & Controls: Beyond Deep Learning and Generative Adversarial Networks: Model Risk Management in AI, Machine Learning & Deep Learning "
The 2018 invited research presentation at the Princeton Quant FinTech & Quant Conference focuses on "the control problem" which is a critical prerequisite for AI systems to have positive impacts by further developing upon my prior two presentations that pioneered Cyber-Finance-Trust™ Model Risk Management & Model Risk Arbitrage™ practices at prior Princeton Quant Trading Conferences. 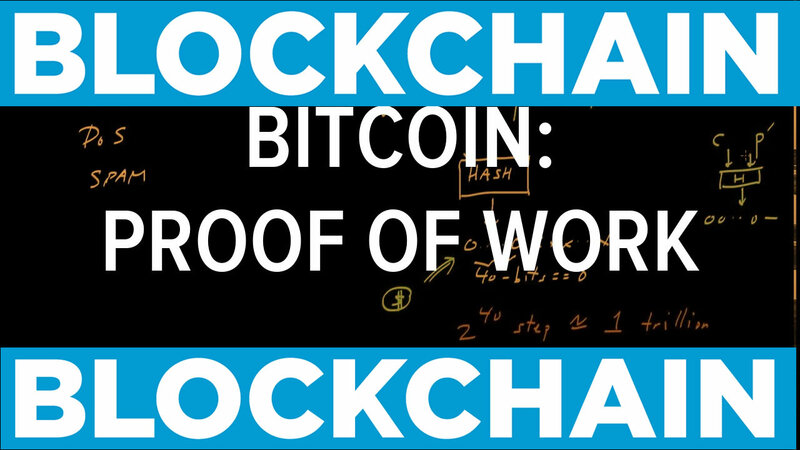 Starting with the first technical report on the Bitcoin Blockchain Cryptographic Proof of Work; spanning latest developments in AI, Machine, Learning, Deep Learning, and, Generative Adversarial Networks; and, hedge fund algorithmic trading, the presentation generates interesting insights about the most critical role of risk management controls. Such role of risk management controls is most critical in not only getting the best out of AI, but also ensuring that the worst fears about the AI do not really come true. The European Parliament Think Tank's Research Policy document 'Should we fear artificial intelligence?' reflects the ongoing mainstream debate between the Utopian and Dystopian aspects of AI and Machine Learning. "Powerful AIs can in principle be given nearly any goal, which is a source of both risk and opportunity. There are myriad possible malicious uses of AI and many ways in which it might be used in a harmful manner unintentionally, such as with algorithmic bias. Perhaps most fundamentally, the control problem will have to be addressed – that is, we will need to learn how to ensure that AI systems achieve the goals we want them to without causing harm during their learning process, misinterpreting what is desired of them, or resisting human control." Third in the series of the Princeton Presentations on AI and Machine Learning Risk Management & Control Systems, the current presentation develops fundamental guidance on the design, development, and implementation of AI, Machine Learning, and Deep Learning Models and Methods. • 2016: "Beyond Model Risk Management to Model Risk Arbitrage for FinTech Era: How to Navigate ‘Uncertainty’...When ‘Models’ Are ‘Wrong’...And Knowledge’...‘Imperfect’! Knight Reconsidered Again: Risk, Uncertainty, & Profit Beyond ZIRP & NIRP"
The 2016 invited research presentation at the Princeton Quant Trading Conference proposes two new financial innovations and their interrelationships: ‘Model Risk Arbitrage’ for ‘Open Systems Finance’. It develops the new framework of Model Risk Arbitrage for profit-maximization in the emerging global financial markets characterized by unprecedented uncertainty, complexity, and, rapid discontinuous changes. It develops the new framework of ‘Open Systems Finance’ aligned with George Soros’ Reflexivity Theory based upon empirical practical experience in financial markets as contrasted from ‘Closed Systems Finance’ models characterizing most of classical and academic Finance and Economics theory. Aligning with George Soros’ Reflexivity Theory and associated Hegelian Dialectic, it characterizes ‘reflexivity’ as the missing link in Finance theory, research, and, practice that can help understand the effect of feedback and feedforward loops across Time and Space in information-based non-deterministic ‘open systems’ Finance. Consistently, it is based on the Hegelian Dialectic characterizing the [profit-maximizing] Black Hat approach as compared with the [risk-optimizing] White Hat approach. The Black Hat approach exploits all vulnerabilities at all levels of all systems to maximize advantage over the White Hat approach. Similarly, Model Risk Arbitrage exploits all model risks at all levels of all systems to maximize advantage over Model Risk Management. Open Systems Finance framework advances beyond ‘silo’ based mindsets characterizing academic theory and practices and thus serves as foundation for developing and executing Model Risk Arbitrage strategies for profit-maximization. • 2015: "Future of Finance Beyond 'Flash Boys': Risk Modeling for Managing Uncertainty in an Increasingly Non-Deterministic Cyber World: Knight Reconsidered: Risk, Uncertainty, and Profit for the Cyber Era: Future of Finance: Cyber-Finance?" The 2015 invited research presentation at the Princeton Quant Trading Conference reconsiders Knight's Risk, Uncertainty, and Profit of 1921 in light of the emergence of the World Wide Web in early-1990s, Emanuel Derman's pioneering work in Model Risk Management at Goldman Sachs in mid-1990s, backlash against quantitative models in aftermath of the Global Financial Crisis of 2007-2009, and the post-Snowden Cyber era starting around mid-2013. Based upon review of related financial risk modeling practices and exponentially increasing Cyber era uncertainty, it helps advance mainstream Finance practices of risk modeling and uncertainty management to enable them to meet the needs of Cyber-Finance which is the emerging Future of Finance. It will help Finance researchers and practitioners recognize that the current mainstream focus of financial risk modeling is on the metaphorical 'tip' of the iceberg, with significant risks that may not as readily meet the human eye. • 2018 Malhotra, Yogesh. Toward ‘Cyber-Finance’ Cyber Risk Management Frameworks of Practice: Bridging Networks, Systems, and, Controls Frameworks. The Journal of Operational Risk, March 2018, Forthcoming. • 2017 Malhotra, Yogesh. Quantitative Modeling of Trust and Trust Management Protocols in Next-Generation Social Networks-Based Wireless Mobile Ad Hoc Networks (United States Army Research Laboratory (ARL) Case Study). IUP Journal of Computer Sciences, Vol. XI, No. 2, pp. 7-28. April 2017. • 2016-Current National Association of Insurance Commissioners NAIC invited National Expert Panel and Expert Paper leading global Cyber Risk Insurance and Risk Valuation Modeling beyond VaR industry practices. Malhotra, Y. Advancing Cyber Risk Insurance Underwriting Model Risk Management beyond VaR to Pre-Empt and Prevent the Forthcoming Global Cyber Insurance Crisis. National Association of Insurance Commissioners Expert Paper. (June 24, 2017). Post-doctoral applied industrial R&D Cyber-Finance practices report inspired by world-leading quant risk analytics and portfolio management Quants and Hedge Fund top leadership mentors at Wall Street investment banks such as JP Morgan with $1 Trillion AUM and Network Security research committee of distinguished computer scientist and mathematician cybersecurity experts affiliated with U.S. Air Force Research Lab, New York State Cyber Research Institute, and, SUNY Polytechnic Institute. • 2018 Princeton Quant Trading Conference: Sponsors: Princeton University, Susquehanna International Group: AI, Machine Learning & Deep Learning Risk Management & Controls: Beyond Deep Learning and Generative Adversarial Networks: Model Risk Management in AI, Machine Learning & Deep Learning Risk Management Controls. • 2016 Princeton Quant Trading Conference: Sponsors: Princeton University, Goldman Sachs: Knight Reconsidered Again: Risk, Uncertainty & Profit beyond ZIRP & NIRP: FinTech Model Risk Arbitrage™ & Offensive Cybersecurity. • 2015 Princeton Quant Trading Conference: Sponsors: Princeton University, Citadel: Knight Reconsidered: Risk, Uncertainty & Profit for the Cyber Era: Future of Finance beyond 'Flash Boys': Cyber Finance™: FinTech Model Risk Management & Defensive Cybersecurity. • 2016 Government of Switzerland invited industry expert on Mathematical Industrial Research FinTech Algorithms for National Banking & Finance Transformation of Switzerland: Federal Department of Economic Affairs, Education and Research EAER, State Secretariat for Education, Research and Innovation SERI. Applied-Industrial R&D by ex-Goldman Sachs bankers collaborating with world's top Quant Finance & Insurance Mathematical Modeling academic experts from Switzerland: "Mathematics and Fintech - the next revolution in the digital transformation of the finance industry." • 2016 New York State Cyber Security Conference - Finance: FinTech-Cyber Finance & Anticipatory Risk Analytics: Sponsors: NYS Governor & CIO: CyberFinance: Why Cybersecurity Risk Analytics Must Evolve to Survive 90% of Emerging Cyber Financial Threats, and, What You Can Do About It? Advancing Beyond 'Predictive' to 'Anticipatory' Risk Analytics. 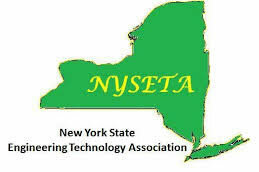 • 2015 New York State Cyber Security & Engineering Technology Association Conference: Cyber Finance Risk Management & Controls Frameworks: Toward Integrated Enterprise Risk Management, Model Risk Management & Cyber-Finance Risk Management: Bridging Networks, Systems and Controls Frameworks. • 2015 U.S. National Chief Risk Officers Keynote to U.S. Fortune 500 CROs-CSOs, Legal Heads, and, HR Heads: Cybersecurity & Cyber-Finance Risk Management: Strategies, Tactics, Operations, &, Intelligence: Enterprise Risk Management to Model Risk Management: Understanding Vulnerabilities, Threats, & Risk Mitigation. • 2016 Malhotra, Yogesh (Invited Referee & Reviewer). Markov Chain Monte Carlo Modeling of Cyber Threats. The Journal of Defense Modeling and Simulation: Applications, Methodology, Technology (SAGE Journals), Published: February 6, 2017. "The Journal of Defense Modeling and Simulation: Applications, Methodology, Technology is a quarterly peer-reviewed academic journal that covers the field of engineering, especially modeling and simulation as it relates to the military and defense. The editor-in-chief is Jerry M. Couretas (Lockheed Martin Corporation). It was established in 2004 and is currently published by SAGE Publications on behalf of the Society for Modeling and Simulation International." • Quantitative Risk Analytics and Predictive Risk Analytics Software Engineering & Modeling Technical Expert and Projects & Teams Leader leading and guiding Managing Directors and Portfolio Managers with JP Morgan Private Bank and Goldman Sachs alumnus asset management firm. Developed JP Morgan Portfolio Liquidity Risk Modeling Framework and JP Morgan Portfolio Optimization & Value-at-Risk (VaR) Stress Testing Models. Analyzed 400 State Street Associates Hedge Fund Trading, Portfolio Modeling, & Risk Optimization Strategies and Developed High Frequency Econometric Models of Co-integrated Time Series and Liquidity Microstructure Modeling for Goldman Sachs alumnus asset management firm. • 2014. Malhotra, Yogesh. Beyond ‘Bayesian vs. VaR’ Dilemma to Empirical Model Risk Management: How to Manage Risk (After Risk Management Has Failed) for Hedge Funds. JP Morgan Portfolio Optimization & Value-at-Risk (VaR) Stress Testing Models R&D. • 2012. Malhotra, Yogesh. A Framework of Liquidity Risk Assessment for JP Morgan Private Bank $500-$600 Billion Fund-of-Funds Multi-Asset Portfolio Construction & Optimization. Presentations to JP Morgan Global Head of Quant Research & Analytics, JP Morgan US Head of Portfolio Construction, & Team of Managing Directors & Portfolio Managers. JP Morgan Global Headquarters: 270 Park Ave., New York, NY 10017. • 2012. Malhotra, Yogesh. Applying High Frequency Financial Econometrics for Developing Optimal Predictive Trading Strategies for Market Microstructure. Report to Goldman Sachs Alumnus' Firm and Tutorial on Vector Autoregressive Moving-Average Processes with Exogenous Regressors (VARMAX) for SAS Large-Scale Data Modeling of Multiple Financial Time Series. Goldman Sachs Alumnus' Firm, New York, NY 10105. • 2012. Malhotra, Yogesh. An Analysis of 400 State Street Associates Quarterly Scan Alpha Trading Strategies for Alpha & Risk. Presentation to Goldman Sachs Alumnus' Firm. Goldman Sachs Alumnus' Firm, New York, NY 10105. • 2012. Malhotra, Yogesh. Why Existing "Alpha" Research is Insufficient for Profitable Hedge Fund Asset Management: An Analysis of Hedge Fund Industry High Frequency Trading and Market Liquidity Developments. Presentation to Goldman Sachs Alumnus' Firm. Goldman Sachs Alumnus' Firm, New York, NY 10105. Bond Valuations, Derivatives, Yields, Term Structure, Credit Spread, Credit Risky Bonds, Interest Rate Risk, Portfolio Performance, Passive/Active/Liability Funding, Hedging, Swaps, Forwards, Futures, ABS, MBS. Goldman Sachs, Google, Intel, IBM, Microsoft, Harvard, MIT, etc. • B2B Digital Transformation systems with a global user base of millions of worldwide clients and patrons including Goldman Sachs, Google, Intel, IBM, Microsoft, Ogilvy, Harvard, MIT, etc., an opt-in global virtual community of practice of 130,000+, a global virtual research team of 200 PhD industry experts including Distinguished Professors from Top Business Schools such as INSEAD (France) and Kellogg School of Management leading worldwide Digital Transformation and IT and Knowledge Management practices followed by worldwide Fortune 500 and other firms, global national and regional governments, and, Five Eyes Defense Agencies. • Deep Learning Algorithmic Trading Hedge Fund Ventures (US, New York). • World's Top-3 Search Engine (Carnegie Mellon Industry.Net U.S. National Awards). • World's Top-10 Social Network (Global Rankings among others such as LinkedIn). • Interviews and Editorial Reviews of Digital Ventures as global IT benchmarks in worldwide media such as: Harvard Business Publishing, Harvard Management Update, Wall Street Journal, Fortune, Inc., Forbes, Business Week, Fast Company, New York Times, Los Angeles Times, Seattle Times, San Jose Mercury News, Chief Executive, CIO, CIO Insight, Computerworld, Information Week, InfoWorld, etc. • Integrated in higher education institutions worldwide such as the Harvard MBA and other Harvard University programs. • Recommended by Business-IT Executives such as Microsoft founder Bill Gates, PwC Vice Chairman & CKO Ellen Knap. • Recommended by associations such as AACSB, ABA, AICPA, ACM, DoD, IEEE, INFORMS, ISACA, NASA, SHRM, WHO. • Guiding Cyber-Transformation of the U.S. DoD and the CIOs of U.S. Army, Navy, Air Force, and, Marine Corps. Global Network Member Company Executive & CxOs Participation Sponsorships such as: ABB, Bristol-Myers, Ernst & Young, Goldman Sachs, Hewlett Packard, KPMG, McKinsey, Pfizer, PricewaterhouseCoopers, SAP America, Sprint, Toyota, etc. Top-Tier Global Digital Transformation Conference Sponsorships: Locations such as: Amsterdam, Netherlands; Atlanta, GA; Boston, MA; Chicago, IL; Dallas, TX; Helsinki, Finland; Las Vegas, NV; London, UK; Mexico City, Mexico; New Orleans, LA; San Diego, CA; San Francisco, CA; Santa Clara, CA; Vienna, Austria; Washington, DC. • CNET Networks Corporate Computing Award: Most Influential Real World Impact of Research. • Council Partner, U.S. Federal Government, Inter-Agency Benchmarking & Best Practices Council. • CRM Leaders and Legends of Intellibusiness. • Leaders and Legends of Business Intelligence & Data Warehousing. • Knowledge Inc. Top Knowledge Management Experts and Luminaries. • Ziff Davis Who's Who in the Internet Commerce Standard: Led US-Fortune 500 CIOs-CTOs. • Computer Systems Software Engineering and Financial Programming Projects & Teams Leader for Team projects across USA: e.g. Bank of America: Site Leader, Global Wholesale and Retail Banking, Models Quality Assurance & Models and Systems Integration, and, Systems Implementation Team Leader for Senior Analysts and Analysts; Big-3 IT: Team Leader of Senior Analysts and Analysts leading Modeling & Development of Global Financial Systems used by worldwide Banking and Finance institutions; Hong Kong: e.g. Credit Agricole Corporate & Investment Bank, formerly Banque Indo-Suez: Algorithms Strategist & Technical Lead for Government of Hong Kong Treasury Management and Multi-Currency & Forex Arbitrage; and, India (Mumbai, Delhi): e.g. TATA Group: Global Corporate Strategy Leader for Worldwide Dominance in Global Financial Software Services. High Frequency Econometrics, Quant Risk Analytics (Liquidity Risk, Market Risk, Credit Risk), Portfolio Stress Testing, VaR. • Big-3 IT Global Financial Systems, Fortune 500 Banking & Finance: Unisys (US, Atlanta) and TATA (Mumbai, Delhi). • As CISO-Level Cybersecurity-Risk Management IT Administration Leader with over 15-year Professionally Certified IT Security experience and over 20-year Professionally Certified IT experience (CISSP - 2005 , CISA - 2007, CEH - 2014 , CCP-CDP - 1993): Reporting to the CIO-Level role, led implementation of industry-leading practices such as Defense-in-Depth Enterprise Networks and Computer Security & Privacy based on Zero-Trust Cybersecurity Architectures & Networks Segmentation applying industry standards and best practices such as ISO, NIST, FIPS, COBIT, OWASP, Qualys, SANS, PCI-DSS, NYS Cybersecurity Rule, Microsoft, Cisco, and, Fire Eye including Benchmarking & Deployment of Cyber Security Technologies: Applications, Devices, End Points, Hosts, Networks, Operating Systems, Unified Threat Management-Next Generation Firewall, and, Mobile Device Management Systems such as: AirWatch, Check Point, Cisco, FireEye, Fortinet, Fortis, Intel, McAfee, Microsoft, Palo Alto, PDQ Deploy, ProofPoint, Qualys, Sophos, Symantec, VMWare, WatchGuard, etc. • Invited Advisor & Thought Leader: Accenture (prior, Arthur Andersen Consulting) Senior Managing Partners and Consulting Practices Founding Partners, British Telecom (UK), Koninklijke Philips N.V. (Netherlands), Conference Board, Institute for Supply Management, Government of Mexico (Mexico City: National Cabinet and Parliamentary Ministers, 13 CIOs, and 600 IT Executives), Government of Netherlands - National Cabinet, Intel Corporation, National Science Foundation (NSF), Silicon Valley Venture Capitalists and Tech CEOs including TiE Global Silicon Valley Senior Leadership, South Korea (Seoul: National Keynote and National TV Interview), United Nations (UN) (New York City World HQ: Global Keynote & Expert Paper), and, United States Federal Government Inter-Agency Best Practices Council Partner. • Global & National Expert Panels: such as Government of Switzerland Math Industrial Research FinTech Algorithms Global Expert Panel pioneering AI, Algorithms & Machine Learning and Quantitative Finance innovations. Industry-Leading R&D selected for 63 SSRN Top-10 Research Rankings over 2015-2018 including Cyber-Finance-Trust™ frameworks of FinTech-Model Risk Management-Defensive Cybersecurity and FinTech-Model Risk Arbitrage-Offensive Cybersecurity invited for presentations at the 2015 and 2016 Princeton Quant Trading Conferences respectively sponsored by Goldman Sachs, Citadel, SIG, and KCG. • Pioneered Cybersecurity Risk Insurance global industry standards and frameworks for the Cybersecurity & Risk Management industry overseen by a cybersecurity experts committee from New York State Cyber Research Institute, the U.S. Air Force Research Lab, & SUNY. Pioneering Global Cyber Insurance Standards as invited expert on Cyber Risk Insurance beyond VaR for the National Association of Insurance Commissioners (NAIC) to avert the adverse impact of current mainstream Cyber Risk Insurance VaR models in use anticipated to cause a Global Insurance Crisis unless corrected by advancing on invited research presentations at the 2016 New York State Cyber Security Conference sponsored by the State of New York Governor, and, the 2015 New York State Cyber Security & Engineering Technology Association Conference. • National Science Foundation: 32 Cybersecurity & Cyber-Computing National Expert Panels (2002-2005) of Computer Scientists, IT Analysts, and, Venture Capitalists for advancing US Computing and Cybersecurity innovations by authorizing and approving multi-million dollar NSF Small Business Innovation Research (SBIR)/Small Business Technology Transfer (STTR) grants. 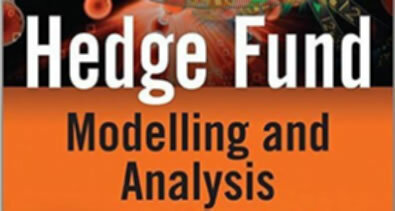 • Model Risk Management-Knowledge Management-Predictive Analytics research program on AI-KM (Artificial Intelligence & Knowledge Management) recognized among Finance-IT Nobel Laureates such as Black-Scholes & Herbert Simon for real-world impact on global practices by the AACSB and scientific impact studies. Global & National Expert Panels: such as United Nations World HQ Global Economists Panel Quant (New York City World HQ); National Science Foundation (Arlington, VA): Computer Scientists & Cybersecurity Experts - SBIR/STTR - Judge & Referee for Multi-Million Dollar Grants for US Computing and Cybersecurity Innovations; Ziff Davis Global Standard for Internet Commerce: Founding Member and Co-Editor leading US national CEOs, CIOs, and CTOs; WWW Virtual Library on Knowledge Management - part of the WWW Virtual Library Project started by Tim Berners-Lee, the creator of HTML and of the Web itself: Founding Publisher & Editor: followed by global Intellectual Capital and Knowledge Management pioneers. Developed-taught Defensive & Offensive Cybersecurity Major & CompTIA Security+ for Network Administrators: concluded with its accreditation by the State of New York. Oversight and leadership for development of Penetration Testing and Ethical Hacking IT Infrastructures for developing and delivering applied training to Network Administrators including Introduction to Security, Malware and Social Engineering Attacks, Application and Networking-Based Attacks, Host, Application, and Data Security, Basic Cryptography, Advanced Cryptography, Network Security, Administering a Secure Network, Wireless Network Security, Mobile Device Security, Access Control Fundamentals, Authentication and Account Management, Business Continuity, Risk Mitigation, and, Vulnerability Assessment & Review. • Certified Ethical Hacker (CEH, 2014-Current), CSSP Analyst, CSSP Infrastructure Support, CSSP Incident Responder, CSSP Auditor. ~ 2,000 Hour Penetration Testing: Hundreds of Cyber Attacks Using Metasploit, NMap, Wireshark, etc. on Authorized State of New York and EC-Council Darknets. • Invited Executive Education Faculty: Carnegie Mellon University (Pittsburgh), Kellogg School of Management (Evanston). • Invited Research Lectures: INSEAD (Fontainebleau, France), Queen's University (Kingston, Canada) School of Business. • Tenure-Track University & College Professor: Performance Management, Mentoring & Assessment of ~ 500 Digital Enterprise & Quant Analytics, and, Interactive Web Development and Penetration Testing-Ethical Hacking Project Teams composed of ~ 2,000 current and future Business Technology Managers, Supply Chain Managers, and, Project Managers; Interactive Web Computing Developers and Telecommunications Network Administrators. • Information Scientist: Predictive Analytics: Academy of Management - Best Reviewer Award - Organizational Communication & Information Systems: Academy of Management Doctoral Consortium Fellow, Technology & Innovation Management and Organizational Communication & Information Systems: Association for Information Systems Doctoral Consortium Fellow: Management Information Systems: Lecturer in Final-Year of PhD Completion - College of Business Faculty (1998-1998), University of Pittsburgh (MIS). • 25+ year PhD & Post-PhD Leadership in development and advancement of Deterministic, Stochastic, &, Non-Deterministic Data Analytics Methodologies published in Top Academic Research Journals and Proceedings including AI, Algorithms, and, Machine Learning Models presented at 2015 & 2016 Princeton Quant Trading Conference recognized for 63 SSRN Top-10 Research Rankings over 2015-2018 with recent and forthcoming articles in peer-reviewed journals such as Journal of Operational Risk (2018) and IUP Journal of Computer Sciences (2017). •Editorial Boards and Expert Reviewer Panels (1993-Current) of more than 40 internationally ranked Computer Science, Decision Sciences, Information Technology, IT Economics, MIS, and, Network Sciences research journals, international conferences, and global publishers such as ACM, IEEE, IBM, Cambridge University Press, Harvard Business School Publishing, and, Springer-Verlag: recently, invited expert referee on Cybersecurity Industrial Research for the Society for Modeling & Simulation International's Journal of Defense Modeling and Simulation (JDMS, Sage Publications) focus on STIX, TAXII, Bayesian Networks, and, Markov Chain Monte Carlo Models (2016). • 25+ year PhD & Post-PhD Leadership in Quantitative, Statistical, Structural, and, Machine Learning Predictive Analytics Model Validation Reviews. Wrote more than 100 invited Peer-Review Reports of Empirical & Scientific Research as a referee for research manuscripts submitted for publication in Top Academic Research Journals. Received the Best Reviewer Award from the Academy of Management for the referee peer-review of Structural Equation Modeling based Machine Learning models selected for Academy's Best Paper award. Advancing on AI-KM (Artificial Intelligence & Knowledge Management) R&D selected for CNET Corporate Computing Award (2002) and AACSB Research Impact among Nobel Laureates (2008) critically analyzed as a trained information systems auditor and financial accounting auditor three key premises of global financial economics in practice that will continue to be the subject of Financial Economics Nobel prizes given changing nature of ‘assets’ and changing nature of ‘risk’ in the Cyber-Crypto Quantum era, namely, efficiency of markets, rationality of behaviors, and, symmetric availability as well as application of information. "Recently, such probabilistic, statistical, and numerical methods related concerns are in globally popular press related to cybersecurity controls and compliance. Earlier, similar probabilistic, statistical, and numerical methods related concerns were in the global popular press in the context of the Global Financial Crisis. Future questions focused on the underlying assumptions and logic may focus on related implications for compliance, controls, valuation, risk management, etc. Likewise, recent developments about mathematical entropy measures shedding new light on apparently greater vulnerability of prior encryption mechanisms may offer additional insights for compliance and control experts. For instance, given related mathematical, statistical and numerical frameworks, analysis may also focus on potential implications for pricing, valuation and risk models. The important point is that many such fundamental assumptions and logic underlying widely used probabilistic, statistical, and numerical methods may not as readily meet the eye." Source: Interview: Bitcoin BlockChain Cryptographic Protocols, Hong Kong Institute of CPAs, January 20, 2014. Reference: First Research Report on Bitcoin 'Cryptographic Proof' preceding Goldman Sachs, December 04, 2013. "[T]he approaches to mitigate operating risk associated with the use of models need to evolve to reflect recent trends in the Finance Industry. In particular there are a number of new areas where it is not possible for the "human eye" to necessarily detect material flaws: in the case of models operating over very small time scales in high frequency algorithmic trading, or for portfolio risk measurement models where outputs lack interpretability due to high-dimensionality and complex interactions in inputs, the periodic inspection of predicted versus realized outcomes is unlikely to be an effective risk mitigate. These situations require a holistic validation framework of the system focused on identifying and mitigating potential failures, taking into account the models’ objectives, their implementation including the joint interaction of software and hardware, their response to potential input shocks in real time and the fail-safe mechanisms." Top Wall Street Investment Bank, NYC; Interviewed: March 21, 2014. • Founder, Finance-IT-Risk Management Computational, Quant, and Analytics Ventures, with clients & patrons such as Goldman Sachs, Google, HP, IBM, Microsoft, Harvard Business School MBA Program, Harvard Business Publishing, Harvard University, MIT, Maeil Business Network (South Korea), Princeton University, Ogilvy, Philips (Netherlands), Stanford University. • Prior Banking & Finance Analytical & Modeling Project Leaderships for Bank of America, Las Vegas; Crédit Agricole Corporate and Investment Bank, Hong Kong (formerly, Banque Indo-Suez, Hong Kong); Wells Fargo (formerly, Davenport Bank & Trust Company, Davenport, IA), and, Big-3 IT for Global Financial Systems of worldwide banks. Top-Tier Global Digital Transformation Conference Sponsorships: Locations such as: Amsterdam, Netherlands; Atlanta, GA; Boston, MA; Chicago, IL; Dallas, TX; Helsinki, Finland; Las Vegas, NV; London, UK; Mexico City, Mexico; New Orleans, LA ; San Diego, CA; San Francisco, CA; Santa Clara, CA; Vienna, Austria; Washington, DC. Global Network Member Company Executive & CxOs Participation Sponsorships such as: ABB, Bristol-Myers, Ernst & Young, Goldman Sachs, Hewlett Packard, KPMG, McKinsey, Pfizer, PricewaterhouseCoopers, SAP America, Sprint, Toyota, etc. • Chief Research Scientist, Wall Street Top Investment Banks Project Leaderships of Modeling and Investment Portfolios for Banks with $1 Trillion AUM such as JP Morgan Multi-Asset Portfolio Fund of Funds with $500-600 Billion AUM, and, a Goldman Sachs Alumnus' Asset Management Firm with $400-500 Billion AUM in Midtown Manhattan, New York City. •Project Leader, JP Morgan Private Bank Portfolio Liquidity Risk Modeling Framework, reporting to and guiding Global Head of Quantitative Research & Analytics, US Head of Portfolio Construction and team and Team of Managing Directors and Portfolio Managers as Technical Expert and Project Leader. •Project Leader, JP Morgan Private Bank Portfolio Optimization & VaR Stress Testing, reporting to and guiding Global Head of Quantitative Research & Analytics, US Head of Portfolio Construction and team and team of Quant Risk Analytics as Technical Expert and Project Leader. • Project Leader, Goldman Sachs Alumnus’ Asset Management Firm, High Frequency Econometric Modeling of Co-integrated Time Series and Liquidity Microstructure Modeling reporting to and guiding Sr. VP/Portfolio Manager and team. 2016 & 2015 Princeton Quant Trading Conference: Sponsors: Goldman Sachs, Citadel, SIG, KCG Holdings. • 2015 & 2016 Princeton Quant Trading Conference: Invited Post-Doctoral Presentations, Princeton University. • Risk Management Analytics program pre-anticipating Wall Street CFOs & CROs need to “anticipate risk” by a decade. • Advancing Fed/OCC SR11-7 and OCC 2011-12 Model Risk Management (MRM) Execution. 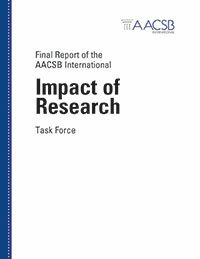 - AACSB International Impact of Research Report, 2008. 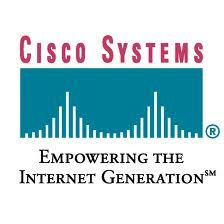 • CNET Networks Corporate Computing Award for Most Influential Research, 2002. • Interviews and Reviews of Related Research in: Wall Street Journal, Fortune, Inc., CIO, etc. Digital Transformation of Global Banking & Finance, 2016. Computational Quant Finance; AI & Decision Modeling; Algorithms & Machine Learning. • Deep Learning Algorithmic Trading Hedge Fund Ventures: Algorithms, Machine Learning, Deep Learning. Deep Learning Algorithmic Trading Hedge Funds - inspired by Benoit B. Mandelbrot - advancing on FinTech Anticipatory Risk Analytics-Model Risk Arbitrage Strategies presented at Princeton building on Wall Street Hedge Funds leadership with recent Python Quant focus on TensorFlow Deep Neural Networks etc. given interest in Volatility and Convexity derivatives. • 2002-2005 National Science Foundation: 32 National Expert Panels: Cybersecurity & Cyber-Computing specialists (Computer Scientists, Venture Capitalists, IT Analysts) as judge & referee for allocating multi-million dollar SBIR/STTR innovation grants for US Cybersecurity & Cyber-computing computing technology innovation and commercialization. • State of New York: IT Administration and Networks Administration: CISO-Level Cyber Security & Risk Management Leader (CISSP, CISA, CEH, CCP-CDP): IT Governance, Operations, & Change Management, and, STEM Computer Science Professor: Advanced Analytics, Object Oriented Interactive Web Programming, Telecom-Network Security – Defensive & Offensive Cybersecurity and Security+ Network Security Certification Curriculum. • CISO-Level Cybersecurity-Risk Management Leader: IT Administration & Networks Administration, Government Administration, State of New York Civil Services, reporting to CIO-Level role. • Defense-in-Depth Enterprise Networks and Computer Security & Privacy Leader: Enterprise Networks-Perimeter & Networks Segmentation; Enterprise Hosts & Server End Point Protection Security; Enterprise User Access Controls, Credentials, Passwords; Enterprise Security Content Automation Protocol Implementation; Enterprise Microsoft Network Operating Systems & Applications Security; Enterprise Mobile Device Management & Multi-Factor Authentication. • Zero-Trust Cybersecurity Architectures & Networks Segmentation Leader: Zero-Trust Network Segmentation; Security Content Automation Protocol (SCAP); Validation & Audit of IP Networks Subnets & VLANs; OWASP Secure Coding Practices; Audit of Virtual Private Networks using RADIUS; AD-GPM Default Domain Controllers Policy for Network Security Reconfiguration & Implementation; AD-GPM Default Domain Policy Reconfiguration & Implementation; AD-GPM Password Security Objects (PSOs) Development & Configuration. • Post-Doc Network & Computer Security Research Pioneering Cybersecurity Risk Insurance Modeling leading global industry standards and frameworks for the Cybersecurity and Risk Management industry. Advisors: Executive Director, New York State Cyber Research Institute, Prior Chief Scientist, Air Force Research Lab / Information Directorate; Program Manager & Principal Computer Engineer, Information Directorate, Air Force Research Laboratory / Information Directorate. 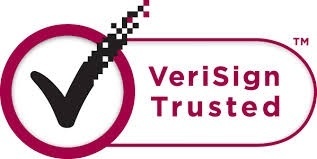 Mainstream insurance industry practitioners have adopted Value-at-Risk (VaR) from global Banking & Finance industry as the pre-dominant cyber insurance model being oblivious to both distinguishing characteristics of cyber-risks as well as statistical properties of VaR. Such widespread misapplication of VaR for cyber risk insurance underwriting unless abated and corrected is expected to lead to a global cyber-insurance crisis that may dwarf the worldwide economic shock from the global financial crisis. Given worldwide high impact of increasingly global cyber-attacks, the current R&D advances cyber risk insurance underwriting model risk management beyond VaR to pre-empt and prevent the forthcoming global cyber-insurance crisis. Pioneering Cyber Risk Insurance Models beyond Value-At-Risk (VaR) Analytics. • To avert the impending Global Cyber Insurance Crisis resulting from large-scale commercial reliance upon quantitative models with inherent model risks, tail risks, and systemic risks in current form, this dissertation makes the following key contributions. • First, we develop the first known Cyber-Finance-Trust™ framework for Cyber insurance modeling to analyze how finance risk entangled with Cyber risk further exacerbates the systemic, interdependent, and correlated character of Cyber risks. • Second, we develop the first known model risk management framework for Cyber insurance modeling as model risk management has received sparse attention in Cyber risk assessment and Cyber insurance modeling. • Third, our review of quantitative models in Cyber risk and Cyber insurance modeling develops the first known analysis establishing significant and extreme model risks, tail risks, and, systemic risks related to predominant models in use. • Fourth, we develop an empirical study of VaR and Bayesian statistical inference methodologies with specific guidance for containing model risks by applying multiple simple and advanced models for cross-checking the reliability of VaR. • Fifth, we develop an analysis of the Markov Chain Monte Carlo Models, Gibbs Sampling and Metropolis-Hastings statistical computing algorithms for enabling Bayesian statistical inference methodologies to minimize model risk in Cyber risk and Cyber insurance risk modeling for the specific context of cybersecurity. • Sixth, we develop the first known portfolio theory based framework for Cyber insurance modeling with guidance to minimize model risks, tail risks, and systemic risks inherent in models in commercial Cyber insurance modeling. • Finally, given increasing role of uncertainty in cyber (and financial) risk modeling and management, we develop a framework for enabling Knightian uncertainty management relating it to model risk management. 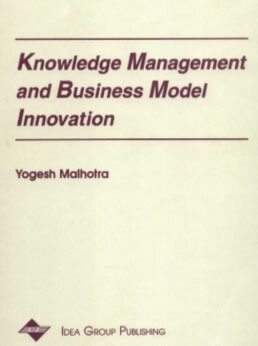 Published: 2001 "Knowledge Management and Business Model Innovation is an important addition to the IS researcher's bookshelf. It brings together the latest thinking on issues at the forefront of teaching innovation and professional imagination." Reviewed & Referenced in Top Business-IT-Finance Institutions & Publications. International Conference on Information Systems. Founded and led world-leading Digital Transformation ventures with clients and patrons such as Goldman Sachs, Google, IBM, Intel, Microsoft, MIT, Harvard, and, Ogilvy followed and recommended by IT leaders such as Microsoft founder Bill Gates; CIOs of U.S. Army, U.S. Navy, U.S. Air Force, and, U.S. Marine Corps; and, Big-4 Consulting CKOs, and, profiled as industry benchmarks in editorial reviews and interviews in Business-IT press including Wall Street Journal, Fortune, Inc., Fast Company, Business Week, New York Times, Computerworld, Information Week, CIO Enterprise, and, CIO Insight. R&D ranked among Finance and IT Nobel laureates pioneering Enterprise Risk Management and Model Risk Management models leading global Digital practices of worldwide firms and governments. Global Finance-IT-Risk Management Leaderships: Wall Street Investment Banks, Big-3 Banking & Finance, and, Big-3 IT-Finance with real-World R&D Impact ranked among Finance and IT Nobel Laureates by AACSB and Scientific Impact Studies. Post-Doctoral Digital Transformation Cyber-Crypto-Quantum FinTech AI & Modeling, Algorithms, and, Machine Learning R&D leading global practices: Invited Presentations: 2015 & 2016 Princeton Quant Trading Conference, and, 2016 New York State Cybersecurity Conference focus on Finance. Math Industrial Research FinTech Algorithms Expert on Digital Transformation of Finance: Government of Switzerland Federal Department of Economic Affairs. Cyber Insurance Modeling beyond VaR (Value-at-Risk) Analytics Expert: National Association of Insurance Commissioners. Founding Chairman & Chief Knowledge Architect, CEO/CIO/CTO, Risk Analytics Ventures. • Venture Clients/Patrons: Goldman Sachs, Google, Harvard, IBM, Intel, Microsoft, NASA, etc. • Founder & Executive Director, Global CxO ventures on Risk Management & Risk Analytics. - Recommended by Top Tech Visionaries such as Microsoft founder Bill Gates, Big-4 (PwC, E&Y) CxOs, Harvard Business School Professors, US & World Governments. - Recommended by U.S. AFRL/Army/Navy/Air Force/NASA CxOs. Wall Street Journal, New York Times, Fortune, Forbes, CIO, Fast Company, Inc., etc. Marquis Who's Who in Science & Engineering®. • Global CxO Risk Management Advisory & Consulting Practice. - Invited Thought Leader, Accenture Consulting, Senior MDs & Practice Founders/Owners. - Silicon Valley VCs & CEOs: 300 Venture Capitalists, Tech-CEOs, and Angel Investors. • Global Banking Financial Systems Projects Leader for Global Banks, USA, Hong Kong & India. Global Financial Systems Modeling, Models Quality Assurance, Development & Implementation. • Bank of America merger (Las Vegas), Bank of America Nevada. Site Leader, Models Quality Assurance & Models/Systems Integration. Senior Analysts/Analysts Team Leader, Systems Implementation. • MBA Research Fellowships in Hypermedia Computing & Digital Risk Management. • 1st in ABA/AIB Certifications: Banking & Financial Statements Analysis, Marketing for Bankers. • Chartered Engineer of the Institution of Engineers Certification. • Certified Computing Professional / Certified Data Professional Certification. Hong Kong Treasury Management, Multi-Currency/Forex Arbitrage. - CxO Management Consultant: TATA-Unisys Facilitation with CIO Mr. James A. Unruh. - Senior Analysts/Analysts Team Leader. Led Modeling & Development of Global Financial Systems Used by Worldwide Banks. • 1st in ABA/AIB Certification: Principles of Banking. • Tata Group Financial Services Division (Mumbai, Delhi): Banking Projects, USA & Hong Kong. - Advancing Beyond Mainframes to Unix & C Software Services for Global IT Market Dominance. Modeling & Development of Global Financial Systems Used by Worldwide Banks. - Promoted to Systems Analyst, Global Financial Services, SWOT Mentor: Corporate SVP. Programmed Algorithmic Language (ALGOL), 3GL & 4GL Systems, Hierarchical DBMS. * Influential Global Advisory & Consulting Practice on Risk Management. * Strategy Advisor: $100 Billion Firms such as Intel Corp.
Big-4 Consulting: Accenture Senior Managing Partners & Practices Founders. * Executive Education Faculty: Kellogg, Carnegie Mellon. * Research Lectures: INSEAD (France), Queen's (Canada). Big-4 CxOs, PhDs / Professors from Kellogg, INSEAD, etc. Big-4 Accenture (Arthur Andersen) Consulting Sr Managing Partners & Practices Founders. Big-4 Ernst & Young CxOs, PhDs / Professors from Kellogg, INSEAD, etc. United Nations New York City World HQ: Quant Expert among 1 of 4 Global Expert Economists Leading Global Development of Measurement Models of National Knowledge Assets and Digital Assets. - Invited Global Keynote for the UN Global Conference of Global Expert Economists. - Invited Expert Paper for the UN Global Conference of Global Expert Economists. Invited Technical Expert on 32 National Science Foundation US Cyber Computing & Cyber Security National Expert Panels: Judge and Referee for allocation of Multi-Million dollar US Federal IT and Cyber Security Computing Technologies Commercialization SBIR/STTR Grants. Thought Leader of Silicon Valley CEOs/VCs and Largest National Economies and Global Firms. - Mexico - Mexican Parliament Cabinet Ministers, 13 National CIOs, 600 Sr. IT Executives. - Netherlands - Advisor to Cabinet Minister, National Parliament Cabinet Ministers' Expert Panel. - South Korea - National TV Broadcast & Newspaper Interview, Maeil Business, S. Korea. - South Korea - Vision Korea Campaign - 400 National Leaders in Business & Government. - USA - Council Partner, US Federal Agencies Best Practices Council. • Taught as Invited Faculty on the Carnegie Mellon & Kellogg Executive Education Faculties. - Invited external Executive Education Faculty among Digital Business-IT Pioneers. • Invited Global/National Research Lectures: INSEAD (France), Queen's (Canada), etc. Finance Nobel Laureates such as Black-Scholes. others such as IT Nobel Laureate Herbert Simon. - Fulbright Canada Visiting Research Chair. - 1 of 4 Global Expert Economists, Asset Valuation Models. * 32 NSF US Cyber Computing-Cyber Security National Expert Panels, 2002-2005. * CNet Networks ‘Corporate Computing Award’: Most Influential Research. - MBA Faculties of Management Science-Decision Sciences-Quant Analytics. Pivot Tables, Macros, VBA, Crystal Ball, MS-Access / SQL. Network Modeling, Dynamic & Integer Linear Programming. 300 e-Business Project Teams: 1500 Business-IT-Analytics Managers. ACM, IEEE, Top-2 MIS Journals. * Technical Referee: ACM, IEEE, Tier-1 Journals. MS-Excel, VBA, MATLAB, SPSS, SAS, AMOS, PLS. Dr. Ikujiro Nonaka (University of California Berkeley, Xerox Distinguished Professor in Knowledge). * Mentor: Dr. Tom Davenport, KM & BPR Pioneer. • Invited Keynotes-Expert Papers: Intel Corporation, British Telecom (UK), Conference Board, Government of Mexico (Mexico), Silicon Valley TiE, Vision Korea & Maeil Business TV (S. Korea). - Addressed U.S. Quality Council of Corporate CxOs of Malcolm Bridge Award Winner Firms. MS-Excel, VBA, SPSS, SAS, AMOS, PLS. • Coaching-Performance Management: 100 Project Teams: 500 Business-IT-Analytics Managers. - Students: MBA/MS/PhD Students, Executives, Managers. - MIS/IT/Cybersecurity, e-Business, Knowledge Management, MS-Excel/VBA/MS-Access. - Taught Executive MBA & MBA Programs on Fort Lauderdale & Boca Raton Campuses. • Innovative Development & Integration of e-Business & Knowledge Management Practices. • Quant Finance-IT-Risk Management-Computer Science-Cybersecurity-Algorithms-Machine Learning R&D spanning New York State, national & global industry-university research collaborations advancing post-doc industrial research in Quant FinTech [Applied Mathematics, Statistics, & Econometrics]. - e.g. 2016 European Cooperation in Science & Technology: Switzerland Federal Department of Economic Affairs: Math-Fintech Industrial Research. e.g. Journal of Defense Modeling and Simulation (JDMS) (Sage): STIX, TAXII, MCMC, Bayesian Networks, Markov Chain Monte Carlo Models. - Society for Modeling and Simulation International. • CISSP, CISA, CEH Tenure-Track STEM Computer Science, Cybersecurity, Advanced MS-Excel Analytics Faculty for the State of New York. Developed-taught Defensive & Offensive Cybersecurity Major & CompTIA Security+ for Network Administrators: concluded with its accreditation by the State of New York. - Sponsors: Princeton University, Goldman Sachs, Citadel, SIG, and KCG Holdings. - Pioneering Research: Cyber Finance-Insurance: Bayesian Machine Learning Algorithms. - 63 SSRN Top-10 Research Rankings for 2015-2017. • STEM Faculty Evangelist: Bayesian Inference, Machine Learning, Algorithms, Data Science, Python, R.
• Faculty presentation inspiring STEM Division of the Corning campus that counts among alumni first female commander of Space Shuttle USAF Colonel Eileen Collins to lead the Cyber Revolution by focus on Bayesian Inference, Machine Learning, Algorithms, Data Science, Python, R.
- National Leadership of U.S. Corporate CIOs & CTOs Executing the E-Commerce Standard. • Electronic Medical Record (EMR) - Functional Independence Measurement (FIM). • SPSS, SAS, AMOS, PLS, LISREL. • Partial Least Squares Regressions. * Research popularized as Extreme Events & Black Swans after Financial Crisis. information connectivity, intensity & velocity. * Invited Interviews by Wall Street Journal, Information Week, etc. - Applied Research in Digital Transformation Models. - Development Technologies Unix, CGI, Perl, C++, etc. - Influential Global Virtual Risk Management Enterprise. Entrepreneurial Programmer working on Top-10 PhD Research Fellowship. • World's Top Digital Transformation Research Site (Best Web Site Award, Computerworld). • World's Top-3 Search Engine (Carnegie Mellon Industry.Net Awards). • World's Top-10 Social Network (Popular Rankings among others such as LinkedIn)). • Pioneered Enterprise Risk Management (ERM) and Model Risk Management (MRM) Practices. • ASTD interview among Virtual Organization pioneers such as Hatim A. Tyabji, CEO, Verifone. • Invited by Harvard Business Publishing to lead digital evolution of Harvard Business Review. As most high-profile digital ventures defining and disseminating worldwide cutting-edge business technology management practices, we contributed to the most prestigious and respected conference organizers of international and national events (such as the Economist) attended by the most high profile corporate executives and senior managers from global corporations and worldwide governments. As a high-profile digital media sponsor, we have literally given away over half a million dollars of returns from our sponsorships of such high-profile global media events for advancing learning, development, and growth of our community through our 'Giveaway for Success'™ programs. Many of the events that we have sponsored are counted among the most prestigious and high-profile conferences and learning events with ticket prices ranging in several thousand dollars. Adding up the dozens of events sponsored over several years provides an assessment of the value added through our media sponsorships. A small sample of companies and executives that have benefited from our 'Giveaway for Success' program that awards the gifts of higher learning to eligible members on a random selection basis is listed below. Companies such as: ABB, Bristol-Myers, Ernst & Young, Goldman Sachs, Hewlett Packard, KPMG, McKinsey, Pfizer, PricewaterhouseCoopers, SAP America, Sprint, Toyota, etc. Locations such as: Amsterdam, Netherlands ; Atlanta, GA . ; Boston, MA; Chicago, IL; Dallas, TX; Helsinki, Finland; Las Vegas, NV; London, UK; Mexico City, Mexico; New Orleans, LA ; San Diego, CA; San Francisco, CA; Santa Clara, CA; Vienna, Austria; Washington, DC. • Maruti Suzuki (Gurgaon), Largest Car Manufacturer known for 'India's Quality Revolution'. • Executive (MIS/EDP), Team Leader, Enterprise Financial & Accounting Systems. - Learned to Program Mainframes in Night Shift holding Day Job as Process Engineer. - Certified in UNIX, C, FORTRAN; Learned to program in Algorithmic Language (ALGOL). - Process Engineering to MIS/EDP Transition to Automate Programming of Car Building Robots. • Executive Engineer (Process Engineering, Production Engineering), Team Leader of 25. Project Leader, Japan-India Technology Transfer and New Technology Development. Japanese CEO's Award for Top Rank in Japanese Language for Managers & Engineers program. - Awarded Multiple Kaizen Quality Improvement Awards for Process Engineering Innovations. - Applied Kanban and 'Agile' Process Engineering Methodologies in Processes and Operations. - Youngest Executive Engineer & Project Manager in the Cohort of Elite/IIT/IIM Engineers. Model Risk Management Research Impact among Finance Nobel Laureates such as Black-Scholes & Markowitz. AI-Algorithms-Machine Learning: Hedge Funds: Model Risk Arbitrage, Cyber-Finance & Insurance Pioneer. Wall Street Investment Banks-Hedge Funds Quant: Invited Princeton University Quant Trading Presentations. 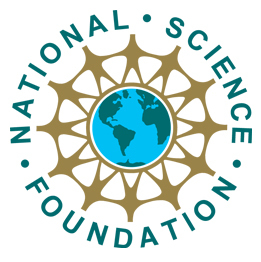 National Science Foundation; United Nations; US-World Governments, Economies & Defense Agencies. spans Silicon Valley to Seoul and all continents in between. Research Impact among Finance & IT Nobel Laureates in AACSB and Scientific Impact Studies. Worldwide Business and IT Editorial Coverage & Interviews in Wall Street Journal, New York Times, Fortune, Fast Company, Forbes, Business Week, CIO, CIO Insight, Computerworld, Information Week, etc. Computational Quant Analytics; AI & Decision Modeling; Algorithms & Machine Learning, Quantum Computing. AI & Machine Learning; Cybersecurity & Cryptography; Computational Quant Finance & Trading. 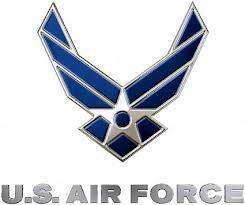 - Air Force Research Lab, NYS Cyber Research Institute, SUNY. - Top Wall Street Investment Banks & Hedge Funds with $1 Trillion AUM. AI and Machine Learning Risk Management & Control Systems). MIT AI-Machine Learning Executive Guide including RPA & Cognitive Automation. Journal of Operational Risk, March 2018. Mathematics-FinTech-Algorithms: Digital Transformation of Global Banking & Finance, 2016. Presentation: CyberFinance: Why Cybersecurity Risk Analytics must evolve to Survive 90% of Emerging Cyber Financial Threats, and, What You Can Do About It? Special Interest Topics: Related to: Finance Sector - Best practices and effective ways to increase the security of financial and personal customer information. 2016 NYS Cyber Security Conference: "Focusing the Cyber Security Lens", June 8 - 9, 2016, Empire State Plaza - Albany, NY. Invited Research Presentation on financial innovation Model Risk Arbitrage, Princeton University. - Sponsors: Princeton University, Goldman Sachs, Citadel, SIG, Apr 16, 2016. Invited Research Presentation on the Future of Finance beyond Flash Boys, Princeton University. - Sponsors: Princeton University Bendheim Center & ORFE, Citadel, KCG Holdings, Apr 4, 2015. State Street Bank World HQ, Boston, MA. Bridging Networks, Systems, and, Controls Frameworks for Cybersecurity Standards & Practices. New York Cyber Security & Engineering Technology Assocn, Rochester Institute of Technology. Recognized among 'exemplars'​ of 'considerable impact on actual practice' such as Black-Scholes & Harry Markowitz by the AACSB International Impact of Research Report, 02/2008, with research advancing execution of SR11-7 & OCC2011-12 US Fed & OCC Model Risk Guidance. United Nations World Headquarters Quant Expert among 1 of 4 Global Expert Economists Leading Global Development of Measurement Models of National Knowledge Assets and Digital Assets. 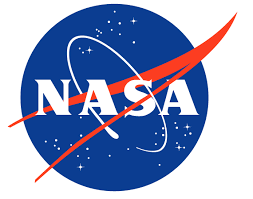 Invited Technical Expert on 32 National Science Foundation US Cyber Computing & Cyber Security National Expert Panels: Judge and Referee for allocation of Multi-Million dollar US Federal IT and Computing Commercialization SBIR/STTR Grants. Risk Management Frameworks & Models for Preempting Large Scale Systems Failures. - National Leadership of US Corporate CIOs & CTOs Executing the E-Commerce Standard. • United Nations World Headquarters Invited Research Grant on Digital Assets Measurement, 2003. 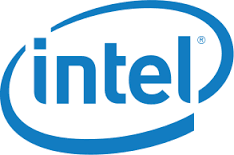 • Intel Corporation Invited Research Grant on Next Generation e-Business Architectures, 2001. • Syracuse University Snyder Innovation Management Center Research Grant, 2003-2005, 2008. • Syracuse University Brethen Operations Management Institute Research Grant, 2005. • Syracuse University Whitman School of Management Research Grant, 2003-2005. • Center for Creation and Management of Digital Ventures Research Grant, 2003-2004. • Martin J. Whitman School of Management Innovation Grant, Syracuse University, 2004. • Kaufman Foundation, Life-Long Learning for Entrepreneurship Innovation, 2003. • SAP University Alliance, SAP ERP/CRM Innovation Grants, 2003. 2000: KMWorld 2000: Digital Transformation, Santa Clara (Silicon Valley), CA. 1998: Leaders and Legends of Business Intelligence & Data Warehousing. 1998: CRM Leaders and Legends of Intellibusiness. 1996-1998: US Federal Government, Council Partner, BPR & Best Practices Council. 1997: Academy of Management Doctoral Consortium Fellow. 1997: Association for Information Systems Doctoral Consortium Fellow. Entrepreneurial Programmer while working on Top-10 PhD Research Fellowship. • World's Top-10 Social Network (Popular Rankings among others such as LinkedIn). - Fast Company: "If Brint doesn't have it, then you probably don't need it." - Business Week [e-Business]: "What every CEO should know." - Business Week: "Best business information source." - Wall Street Journal: "Contemporary business management and technology issues." - Fast Company: "Yahoo! for Business & Technology." - Forbes: "Tool for raising your company's IQ." - Fortune: "Thumbs up for this serious surfer's tool useful for managers." - San Jose Mercury News: "First for in-depth company & industry research." - Wall Street Journal: "Complexity theory made easy." - New York Times: "Invaluable for applying complexity theory." - Wall Street Journal: "Largest collection of knowledge management." - Fast Company: "Best source for knowledge management." - CIO Magazine: "Wealth of incredibly rich, useful and interesting information." - Computerworld: "Best site for IT and business information." - Information Week: "Unparalleled in depth and relevance for business research." - InfoWorld: "Best web site for hi-tech industry developments." - InfoWorld: "Best web site on the topic of knowledge management." • United Nations World HQ Keynote on Quant Measurement of National Knowledge Assets. Wall Street Journal, New York Times, Fortune, Inc., Fast Company, Business Week, etc. Enterprise Risk Management and Model Risk Management ventures named as global CxO practices benchmarks in global business technology media including Wall Street Journal, New York Times, Los Angeles Times, Fortune, Forbes, Inc., Business Week, Harvard Business Publishing, San Jose Mercury News, Computerworld, Information Week, CIO Magazine, CIO Insight, etc. • Editorial Boards-Expert Panels of Tier-1 Computer Science, IT, & Operations Research Journals. • Referee: 100+ Statistical Structural, Quant & Econometric Models: Top-tier Journals & Conferences. • 40+ Publishers: e.g. ACM, IBM, IEEE, Cambridge University Press, Harvard Business Publishing. • MBA Quant Economics: Perfect GPA & Top Rank in Business School. Top ILP Quant Modeler. - Full Scholarship-MBA Hypermedia Computing Fellowship with B2B Pioneer-CTO of $B B2B Firm. • MS Accountancy: SUNY Perfect GPA Award, Top Rank in Business School. - Focus: Global Financial Crisis & Risk Management Failures. NYS AICPA CPA Education fulfilled. • MS Network & Computer Security: SUNY Outstanding Student Award, Highest GPA. - Pioneering Cyber Risk Insurance Thesis: Advisors: Top AFRL Scientists. Top Ethical Hacker. - First Tech Report on Bitcoin ‘Cryptographic Proof’: Interview by Hong Kong Institute of CPAs. • Since 1989: Chartered Engineer & Life Member, The Institution of Engineers, C.Eng. • 2010: AICPA CPA-Education Requirements Fulfilled, AICPA, State of New York. • SAS Certified by SAS Institute • MATLAB Certified by the MathWorks. • SAP University Alliance Faculty Certifications: SAP-ERP, SAP-CRM. • Kaufman Foundation Entrepreneurship Innovation Faculty Certification. ACM, Academy of Management, AIS, INFORMS, IEEE, Institution of Engineers, Robotics International/SME, ASME.